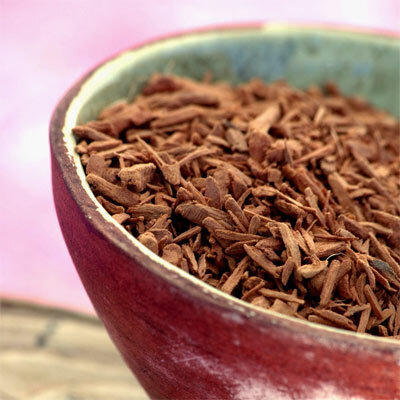 Sandalwood has a rich, balsamic, sweet fragrance with delicate wood notes that add to it's reputation as a luxurious and exquisite oil. Some thirty species of sandalwood occur throughout Asia, Australia and the Pacific region, six of which are native to Australia. This species is presently harvested in the Goldfields region of Western Australia, under strict controls. The evergreen is parasitic, burrowing its roots into nearby trees to gain sustenance for the first seven years, leaving the other to die. To produce oil this tree must be over 30 years old, preferably around 40-50 years when it has reached its peak for oil production.